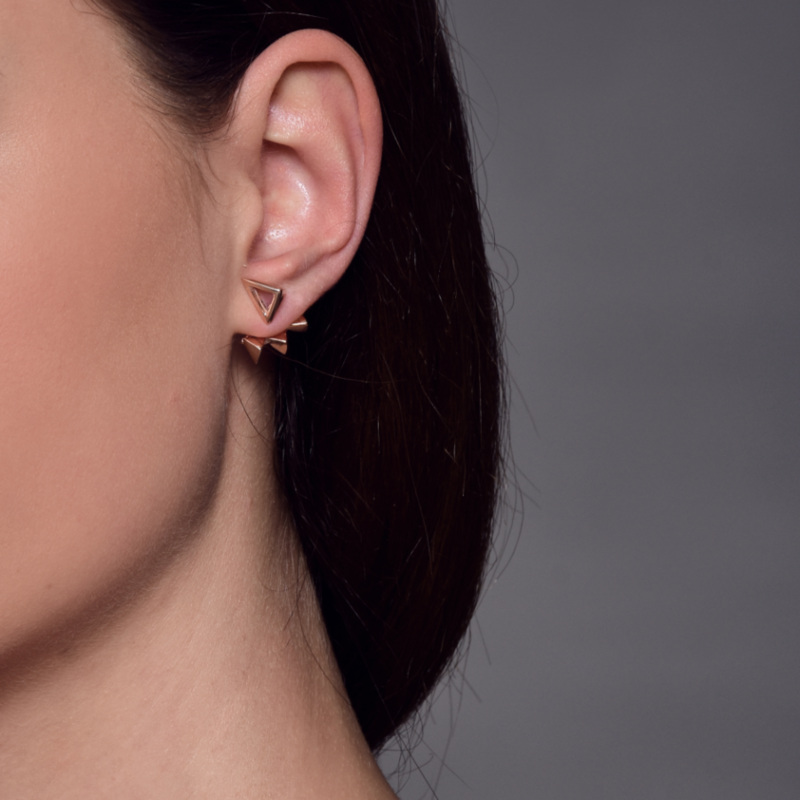 From our brand new collection “Contemporary Baroque”, our Contemporary Curves earrings in gold-plated 925 sterling silver embody the stunning beauty of the Roman Baroque and the pleasure of an everyday-chic jewel. 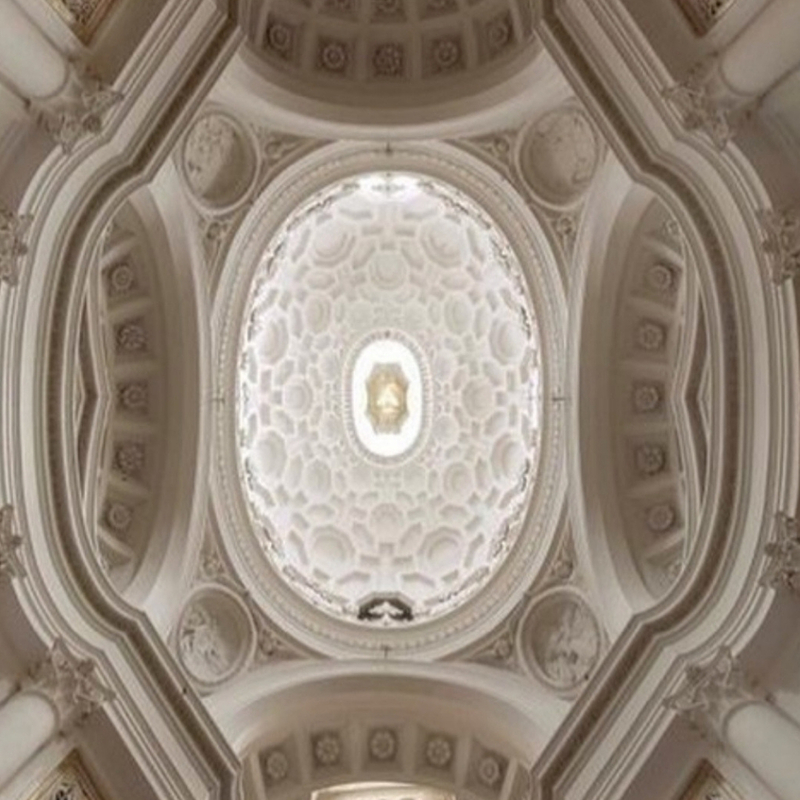 Composed by mesmerizing crosses and octagons, its pattern, inspired by the Borromini’s San Carlo alle Quattro Fontane church vault of Rome, merges with an unconventional vertical shape. 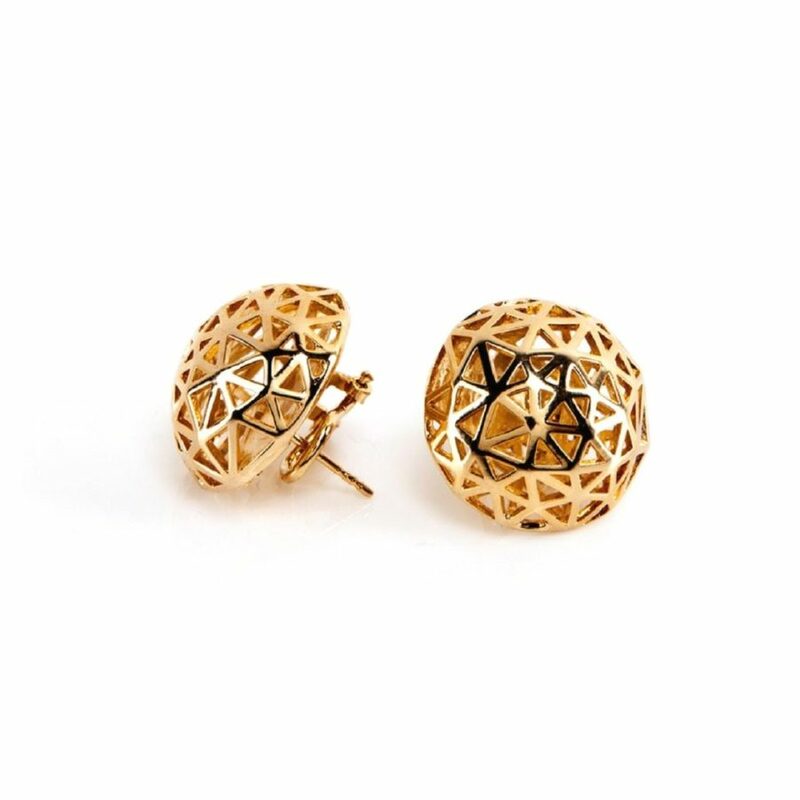 Our Prismatic Wire earrings in gold plated bronze presents skin-touching pearls play surprisingly with angular and minimalistic forms.An unexpected merge between emptiness and substance is so added to your everyday ensemble, as well as a special outfit. 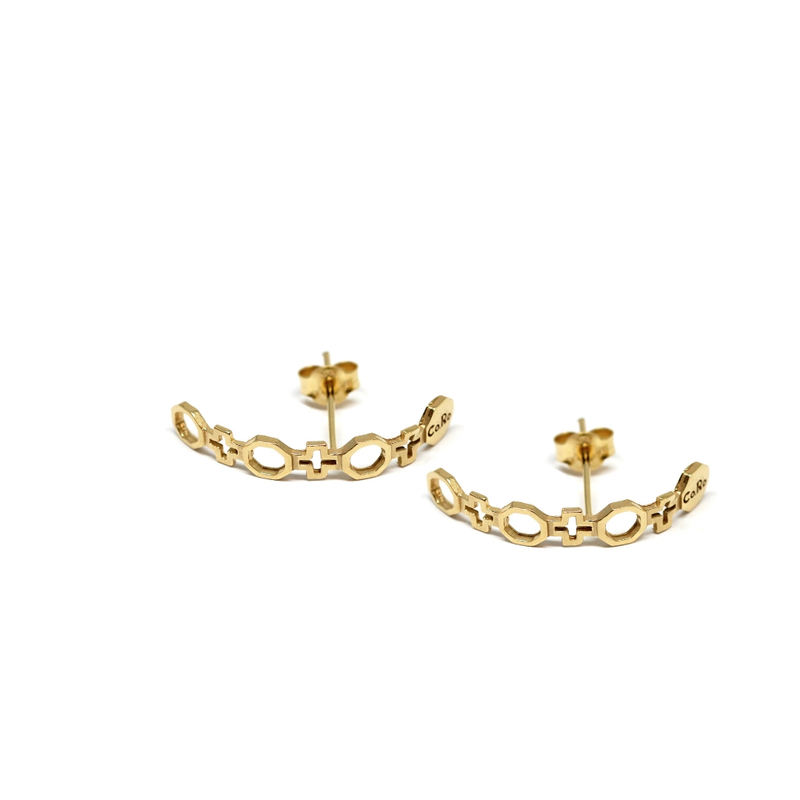 By revisiting Coco Chanel's favorite button earrings with a contemporary twist, our Coco earrings in gold plated bronze embody our personal tribute to a never ending source of inspiration and elegance for us all: Mademoiselle Coco Chanel. 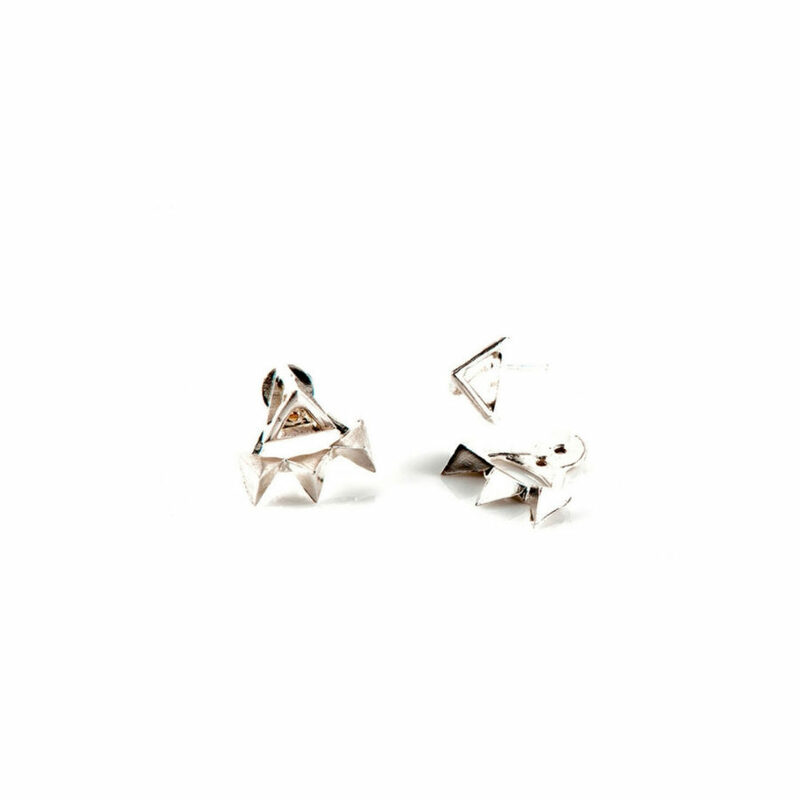 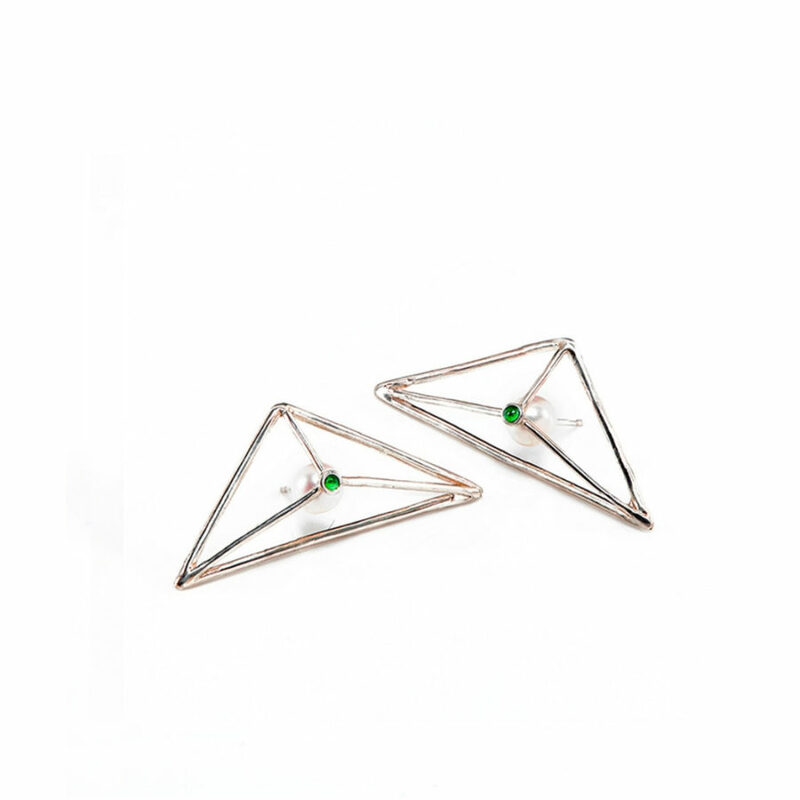 Our Studded Ear Jackets in 925 silver sterling bring the geometric perfection radiating light all over your oval. 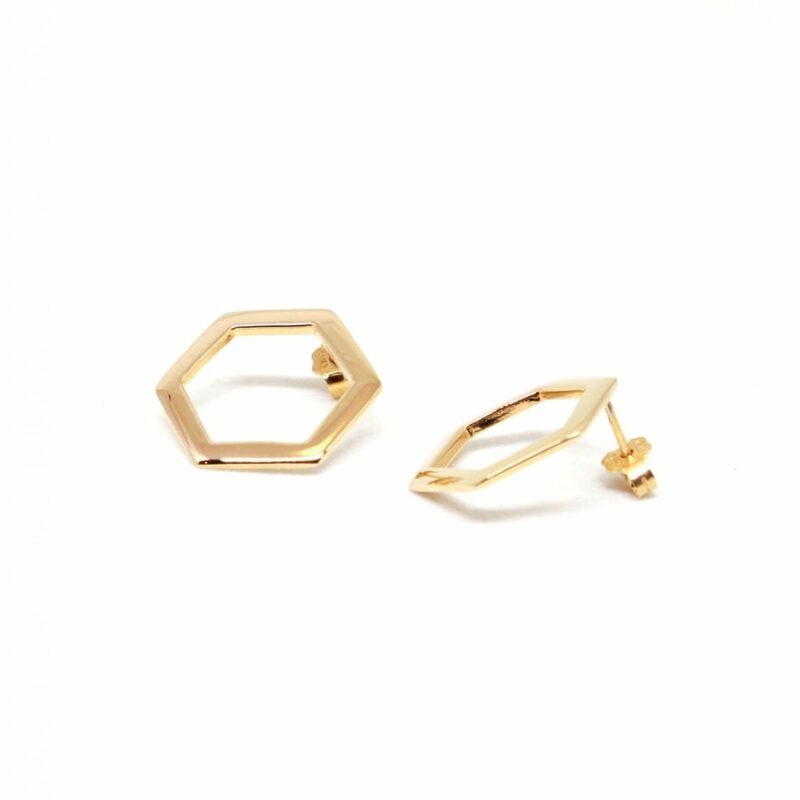 Inspired by the the minimal geometries you may find in nature, our Hexagons earrings in gold plated bronze are a hypnotizing beehive-shaped piece.